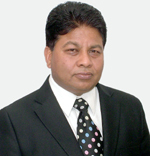 Mr. Kamal Jain (Founder Hilltake Group) an eminent businessman in Nepal, who has big name in manufacturing water tanks, air conditioners, electrical items, PPR and CPVC pipes, perceived dream which was the prime force behind the construction of the world’s tallest Lord Shiva’s statue (143 feet) on Sanga Hill. The construction was the result of innovation and divine grace which began in the year 2004 under the ceaseless supervision of Mr. and Mrs. Kamal Jain who has dedicated himself completely, renouncing social obligations, tirelessly exerting day and night, facing all the difficulties whatsoever, to pay tribute to the deity. It was a selfless service done solely for the social and noble cause and not for any business. It took 7 years to single handedly erect the tallest statue as reverence to his deity of worship. The sculptor from India Mr. Matturam Verma with his dedicated team of 50-100 labors from Nepal commenced and finished the construction work in 7 years. The installation of Kailashnath Mahadev, as the statue was named, proves that how an unknown barren mountainous land could be transformed into an outstanding tourist place by divine grace. The Statue made of cement, concrete, sand, cement & iron rods etc which can withstand earthquake and strong winds, was polished with 6000 kgs of zinc and copper coating, particularly done to protect the statue from adverse climatic conditions. Its Pran-Prathistha was successfully concluded by the revered Badrikadham Peethadhishwar Anant Shri Vibhushit Shankaracharya Swami Madhava shramji Maharaj from India on June 2010 in presence of hundred thousands of worshipors. The subsequent Human Resource and Tourism minister Mr. Sharad Singh Bhandari declared this place as 8th important Tourist Place in Nepal. It has a unique distinction of acquiring unprecedented fame and adoration hardly within a span of a year amidst the breath-taking natural beauty. Thousands of visitors from all over the world daily visit this holy place of transcendental tranquility, sanctity and spiritual ecstasy their profound worship electrifies the whole campus and the divinity which they feel in its natural surroundings is a thing of beauty and joy forever. Once a small 12 year old girl named Suveksha Shreshtha has discovered the face of Lord Buddha on the Belly of the Statue which is surprisingly a great achievement in its sculpture. Considering the sincere essentiality of Nature cure with its worldwide growing awareness for health, Mr. Kamal Jain decided to establish a well equipped and modern exotic Nature cure, Yoga and Ayurvedic Panchakarma Wellness Resort & Spa for relaxation and rejuventation at the backdrop of Kailashnath Mahadev. It is the only Medi Spa of one of its kind in the entire country of Nepal, a dream which is highly cherished by him to impart Holistic deep-core health of body, mind and soul to the ailing humanity. Another 50 deluxe AC Huts and tree houses is under construction process and going to complete shortly. Planning to extend the facilities by construction of one kilometer Sky rail within the premises.